Enjoy the best inspirational, motivational, positive, funny and famous quotes by Albert L. Gray. Use words and picture quotations to push forward and inspire you keep going in life! 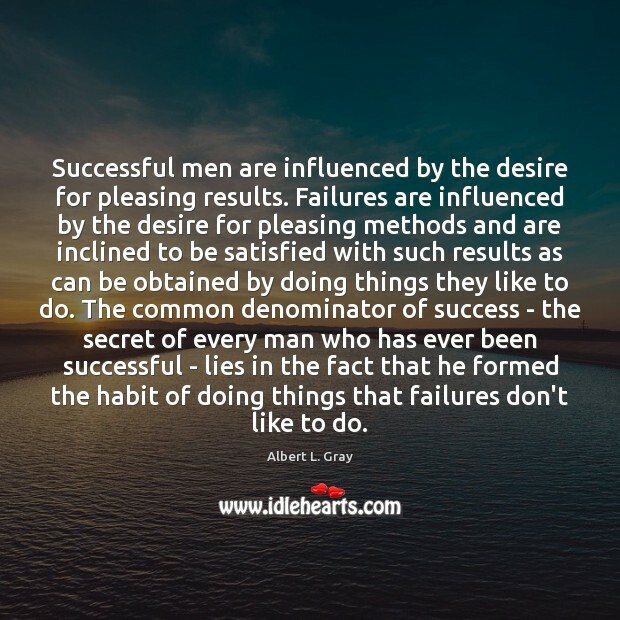 Successful men are influenced by the desire for pleasing results. Failures are influenced by the desire for pleasing methods and are inclined to be satisfied with such results as can be obtained by doing things they like to do. 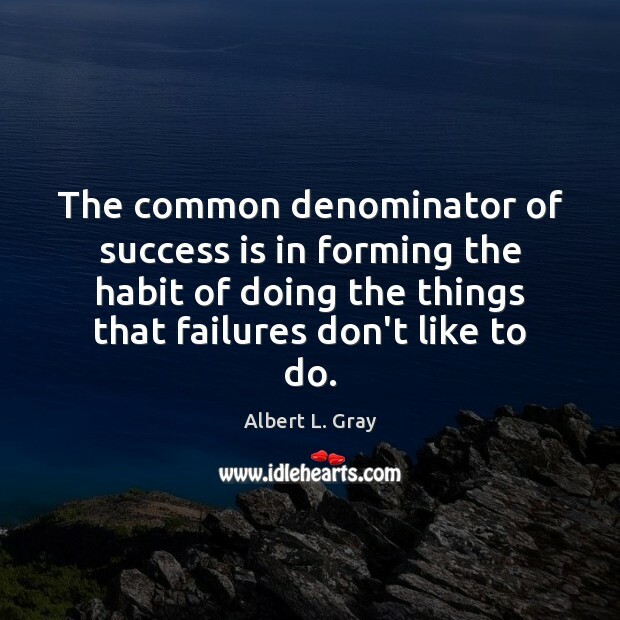 The common denominator of success - the secret of every man who has ever been successful - lies in the fact that he formed the habit of doing things that failures don't like to do. The common denominator of success is in forming the habit of doing the things that failures don't like to do. 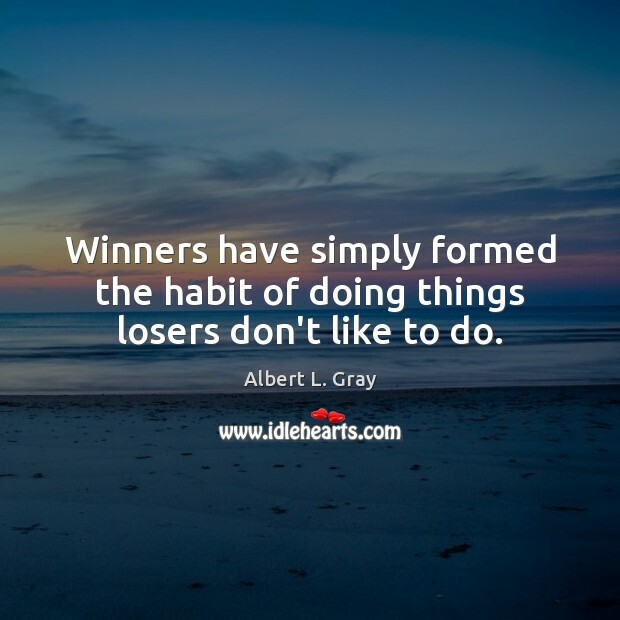 Winners have simply formed the habit of doing things losers don't like to do. 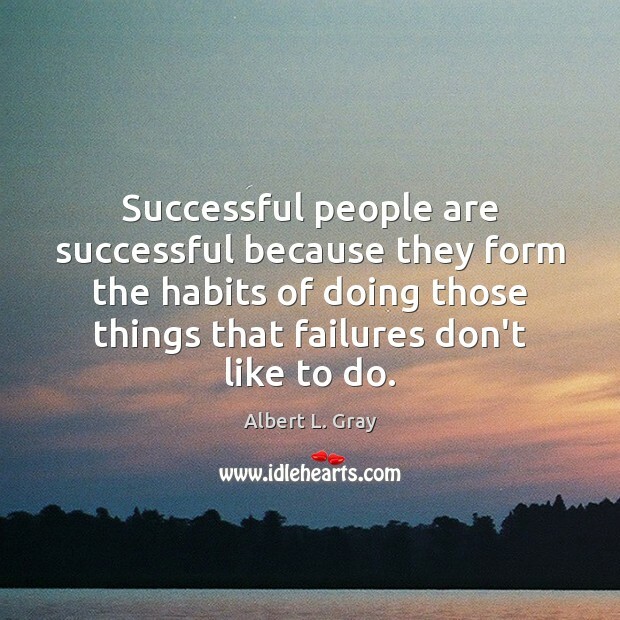 Successful people are successful because they form the habits of doing those things that failures don't like to do.